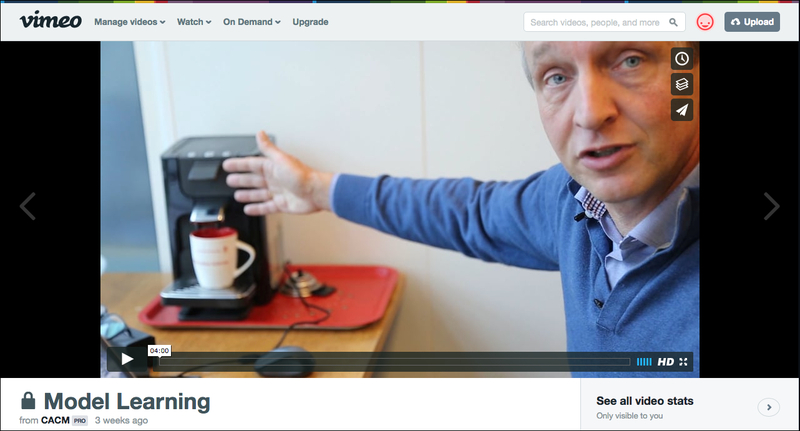 An interview with Gerd Faltings at the 6th Heidelberg Laureate Forum, September 2018. 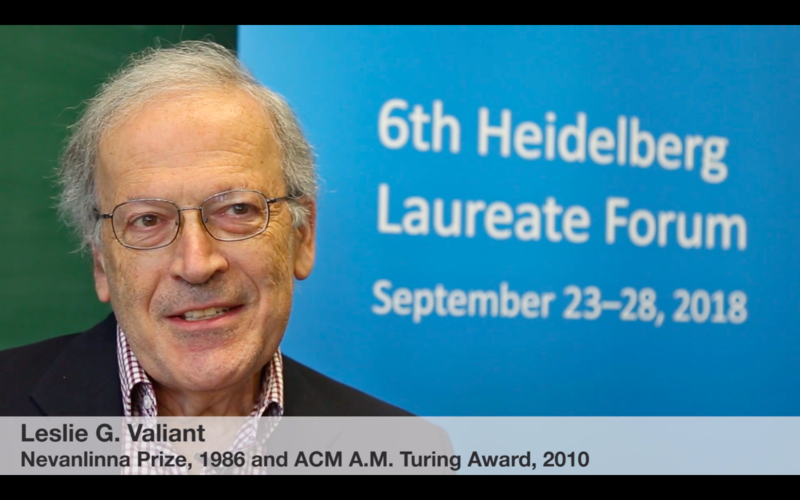 An interview with Leslie G. Valiant at the 6th Heidelberg Laureate Forum, September 2018. 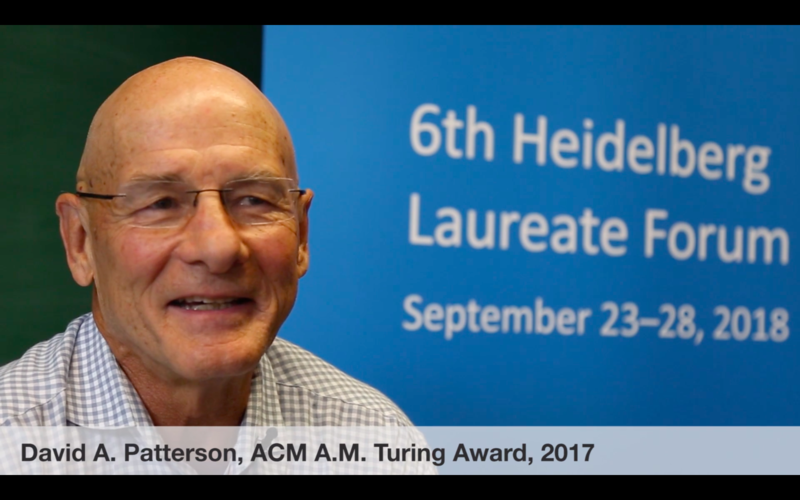 An interview with David A. Patterson at the 6th Heidelberg Laureate Forum, September 2018. 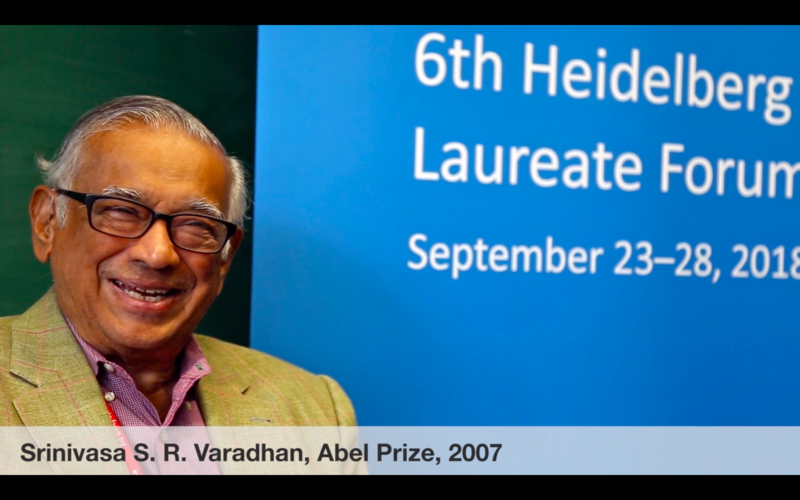 An interview with Srinivasa S. R. Varadhan at the 6th Heidelberg Laureate Forum, September 2018. 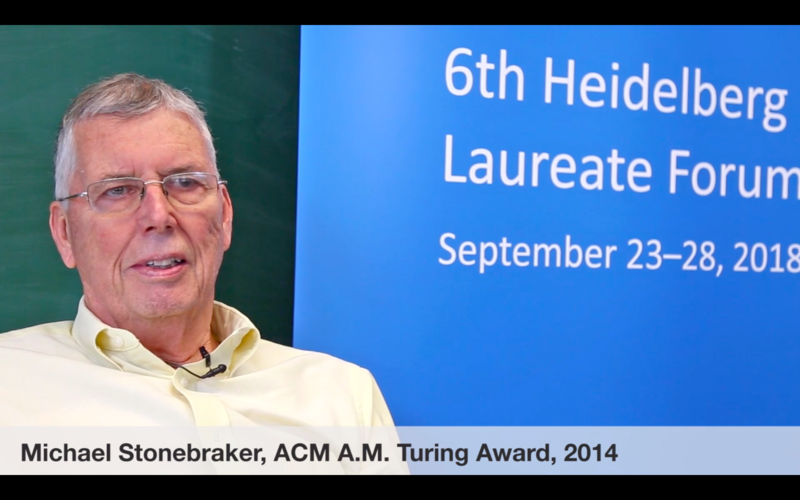 An interview with Michael Stonebraker at the 6th Heidelberg Laureate Forum, September 2018. 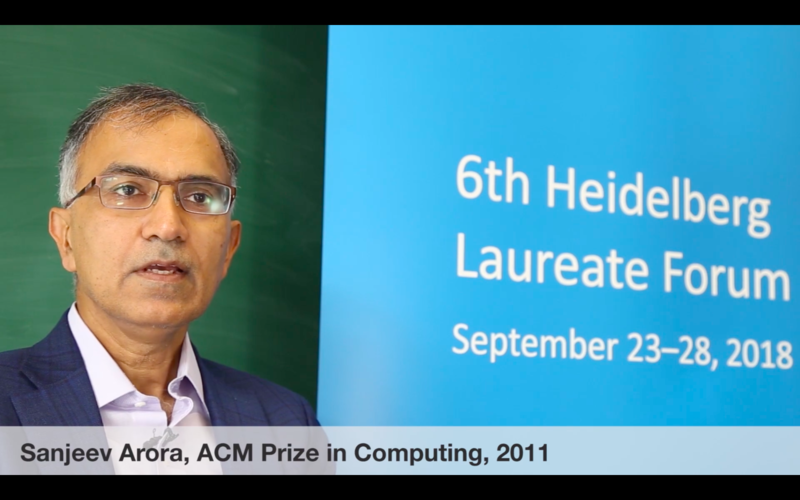 An interview with Sanjeev Arora at the 6th Heidelberg Laureate Forum, September 2018. 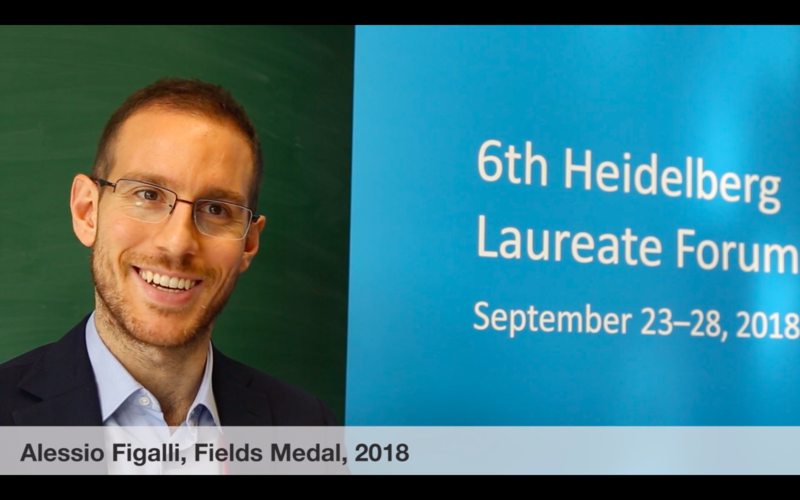 An interview with Alessio Figalli at the 6th Heidelberg Laureate Forum, September 2018. 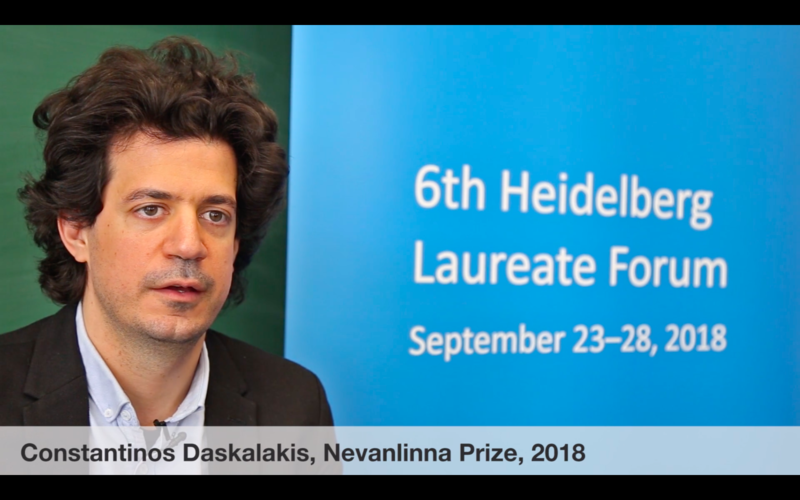 An interview with Constantinos Daskalakis at the 6th Heidelberg Laureate Forum, September 2018. There’s no such thing as generic “good” writing. Writing quality—and impact—comes from how well it fits its purpose. This course shows how to give all your writing more impact, regardless of its purpose. Writer and journalist Tom Geller helps you find your own reasons for writing, demonstrating how to use those reasons to drive the words you choose and the tone you take. Plus, he shares how to leverage your understanding of grammar and sentence structure to write nearly anything with maximum impact. 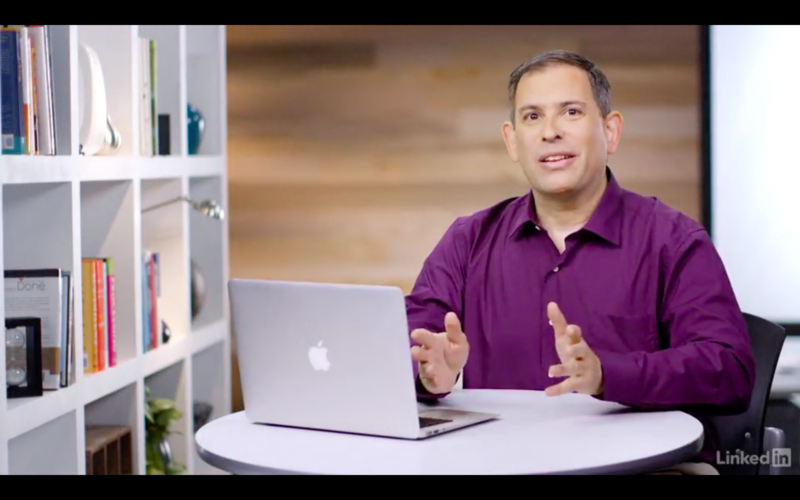 Upon completing this course, you’ll be equipped with practical tips for making your prose clear, concise, and right for its specific purpose. 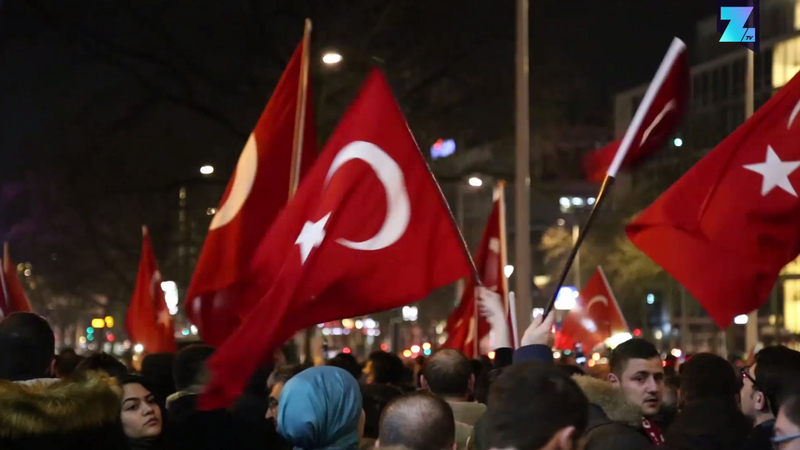 White papers were originally produced by governments, but now serve a vital purpose in marketing departments worldwide. A white paper is a deep dive into a concept, initiative, or product, designed to educate and persuade by framing issues in a clear way. 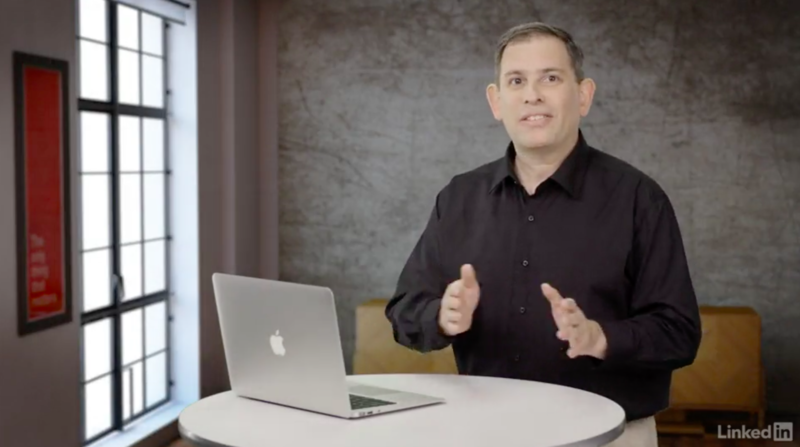 In this course, corporate communications pro Tom Geller leads you through the format, purposes, and uses of white papers; helps you define what you want your paper to be; and then helps you make it a reality. You’ll finish this course with information about where white papers fit in the greater business ecosystem—and how to make your paper the best it can be. Another in a series of “genre writing” courses. Previous ones are Writing Formal Business Letters and Emails and Writing Articles. Available on Lynda.com and LinkedIn Learning. If you have helped a customer achieve success, you can document it in a case study, which is how you tell the world about it. 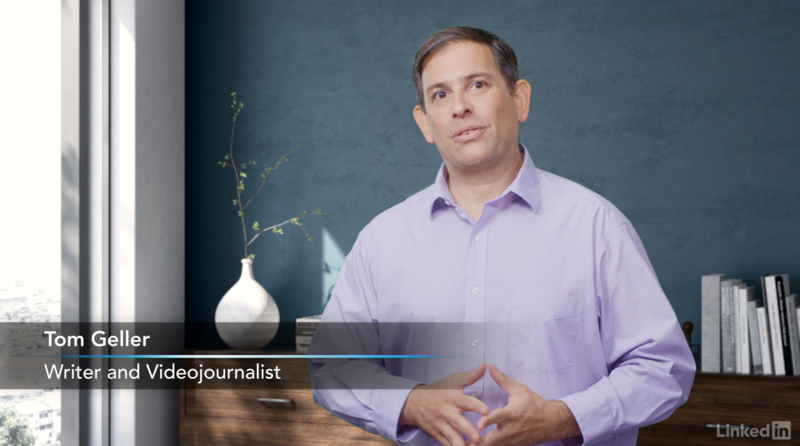 In this course, learn about typical types of case studies, which fit both online and print formats. Explore strategies for making a compelling case study. Find out how to avoid some common pitfalls. 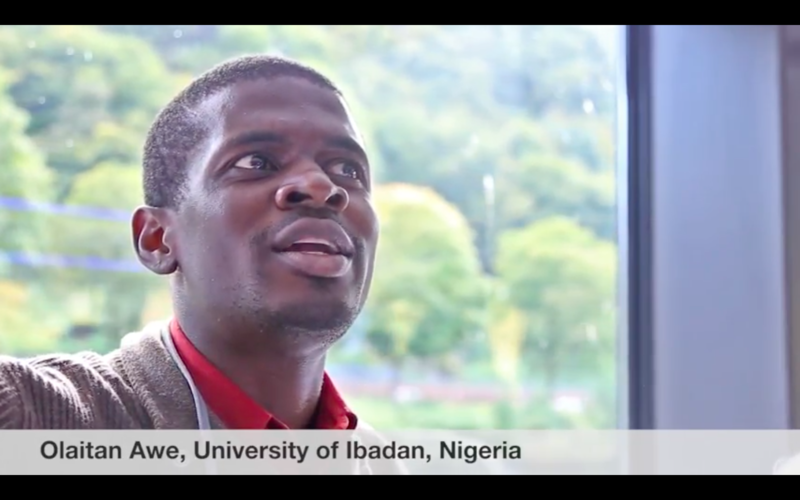 An interview with young researcher Olaitan Awe at the 5th Heidelberg Laureate Forum, September 2017. 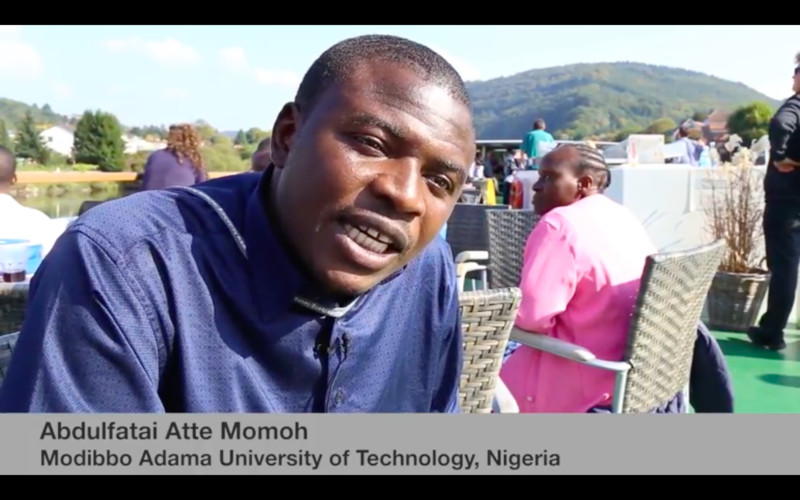 An interview with young researcher Abdulfatai Atte Momoh at the 5th Heidelberg Laureate Forum, September 2017. An interview with young researcher Fatimah Abdul Razak at the 5th Heidelberg Laureate Forum, September 2017. An interview with young researcher Larwan Burke at the 5th Heidelberg Laureate Forum, September 2017. 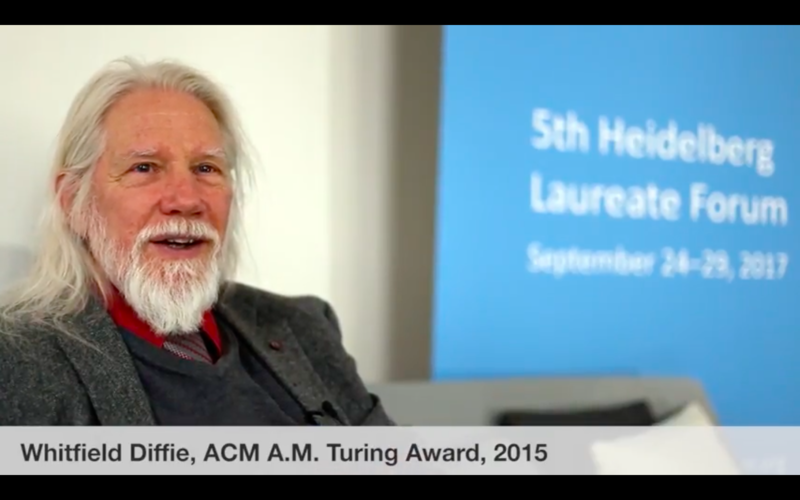 An interview with Whitfield Diffie at the 5th Heidelberg Laureate Forum, September 2017. 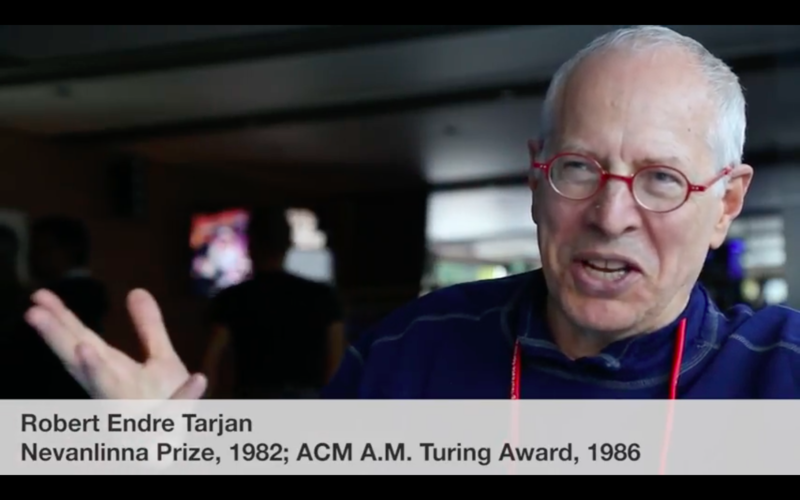 An interview with Robert Endre Tarjan at the 5th Heidelberg Laureate Forum, September 2017. 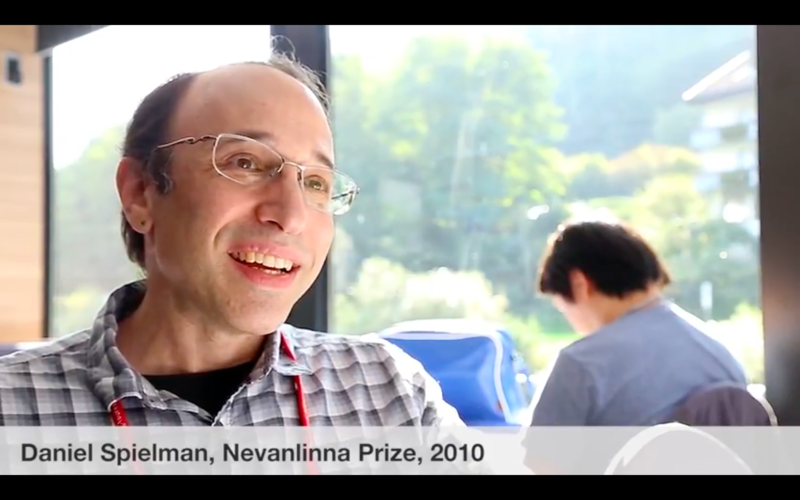 An interview with Daniel Spielman at the 5th Heidelberg Laureate Forum, September 2017. 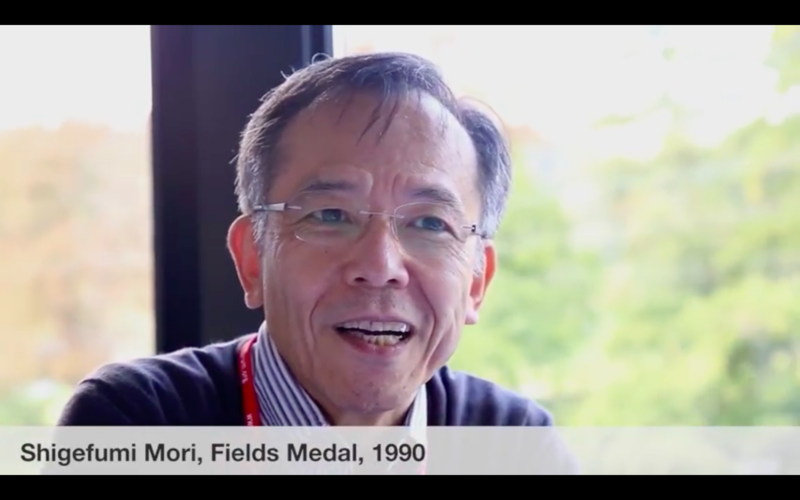 An interview with Shigefumi Mori at the 5th Heidelberg Laureate Forum, September 2017. 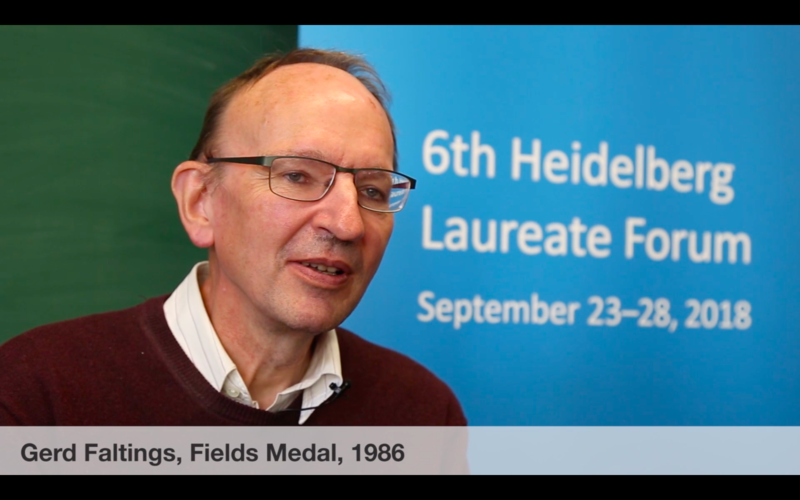 An interview with Richard Edwin Stearns at the 5th Heidelberg Laureate Forum, September 2017. 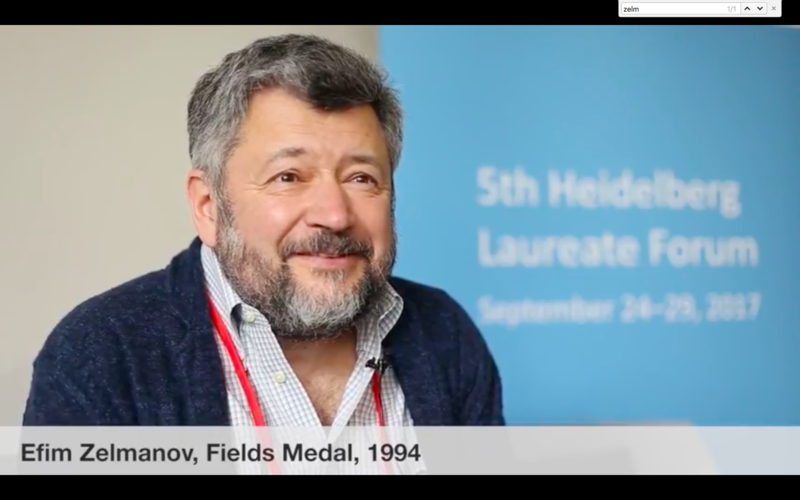 An interview with Efim Zelmanov at the 5th Heidelberg Laureate Forum, September 2017. 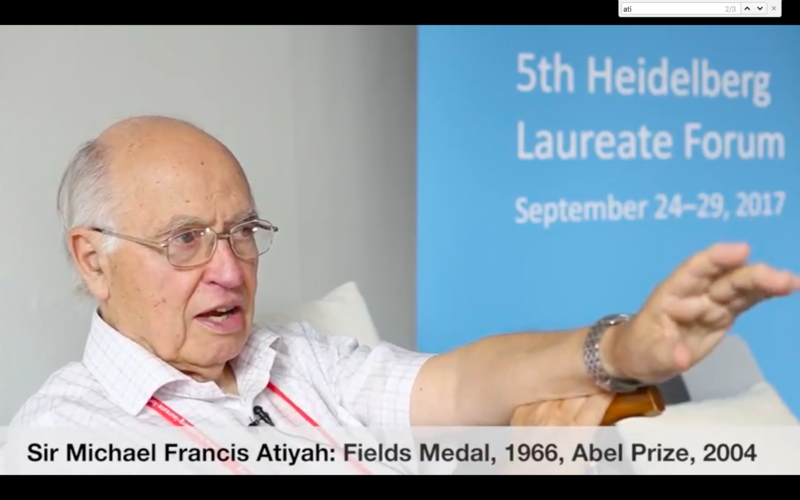 An interview with Sir Michael Francis Atiyah at the 5th Heidelberg Laureate Forum, September 2017. 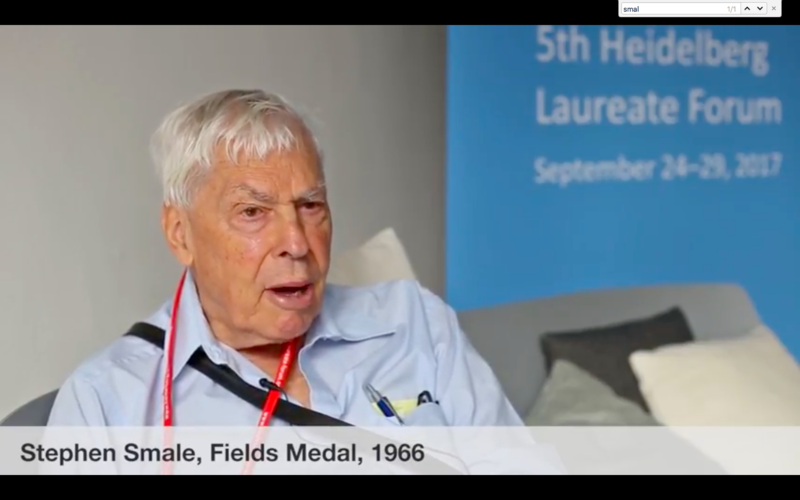 An interview with Stephen Smale at the 5th Heidelberg Laureate Forum, September 2017. 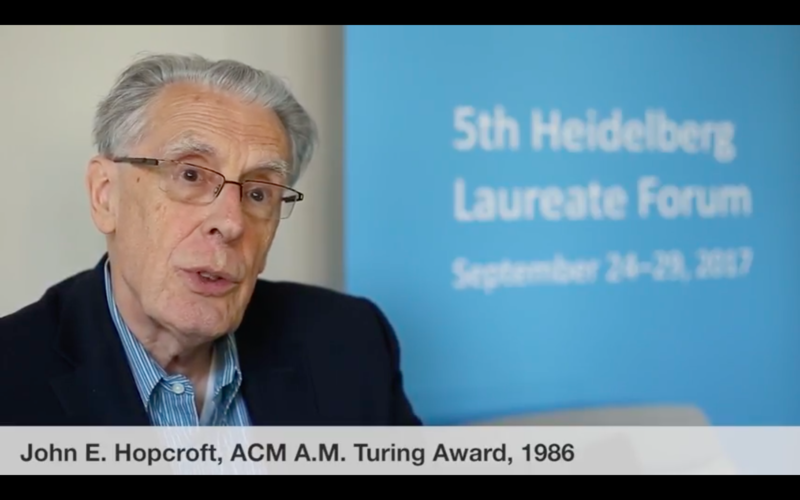 An interview with John E. Hopcroft at the 5th Heidelberg Laureate Forum, September 2017. 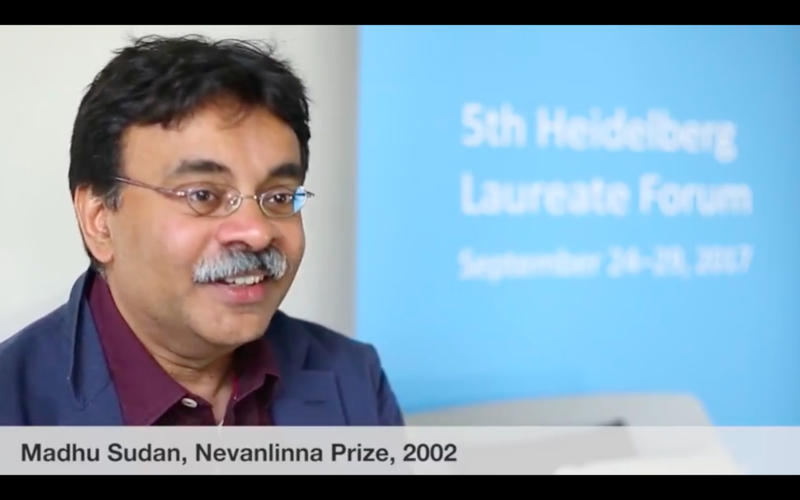 An interview with Madhu Sudan at the 5th Heidelberg Laureate Forum, September 2017. An interview with Joseph Sifakis at the 5th Heidelberg Laureate Forum, September 2017. 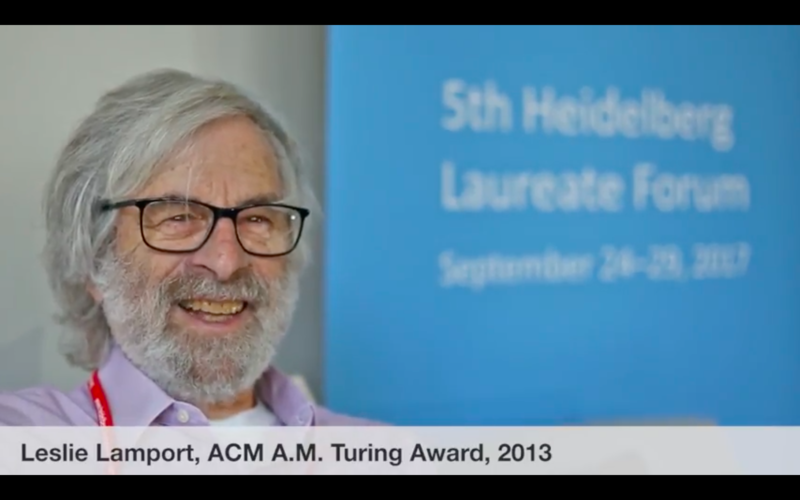 An interview with Leslie Lamport at the 5th Heidelberg Laureate Forum, September 2017. 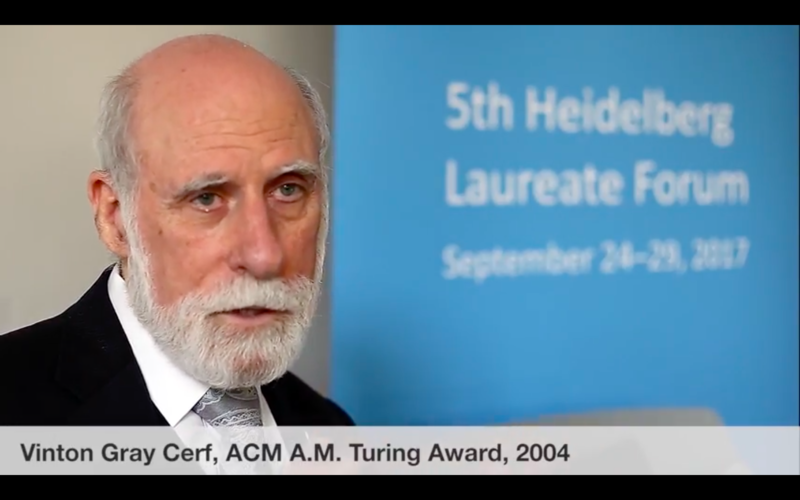 An interview with Vinton Gray Cerf at the 5th Heidelberg Laureate Forum, September 2017. 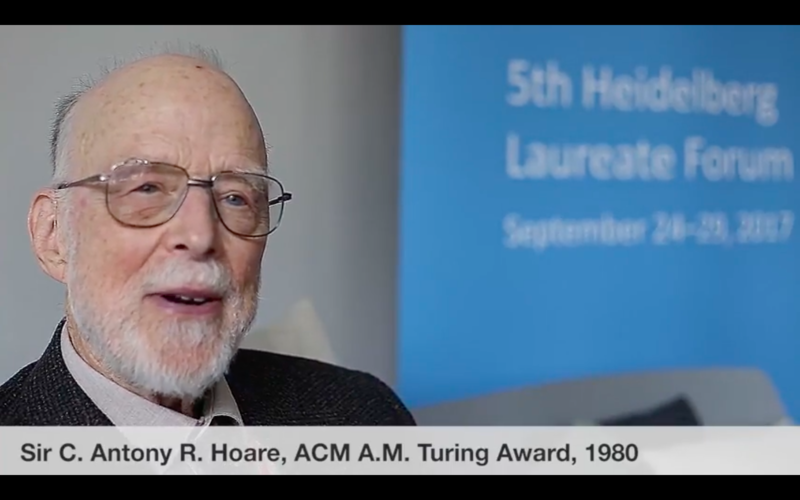 An interview with Sir C. Antony R. Hoare at the 5th Heidelberg Laureate Forum, September 2017. 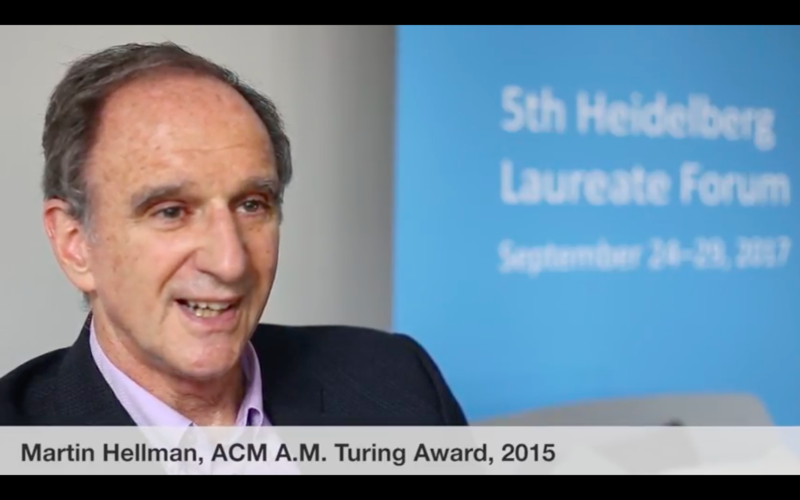 An interview with Martin Hellman at the 5th Heidelberg Laureate Forum, September 2017. 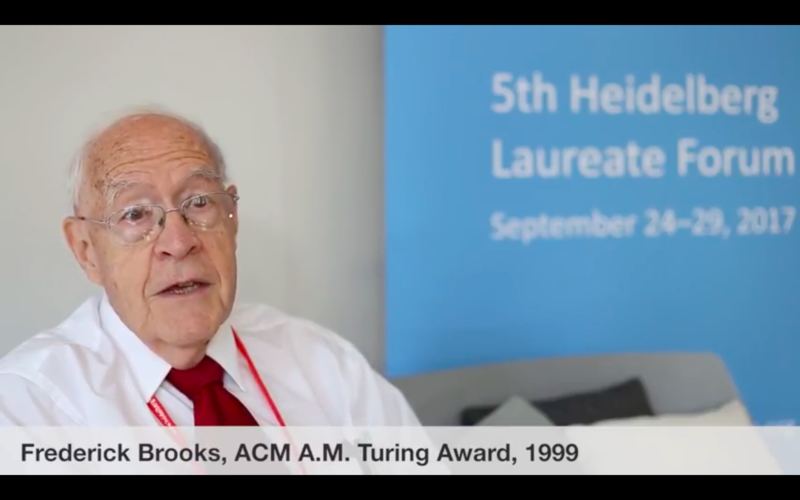 An interview with Frederick Brooks at the 5th Heidelberg Laureate Forum, September 2017. 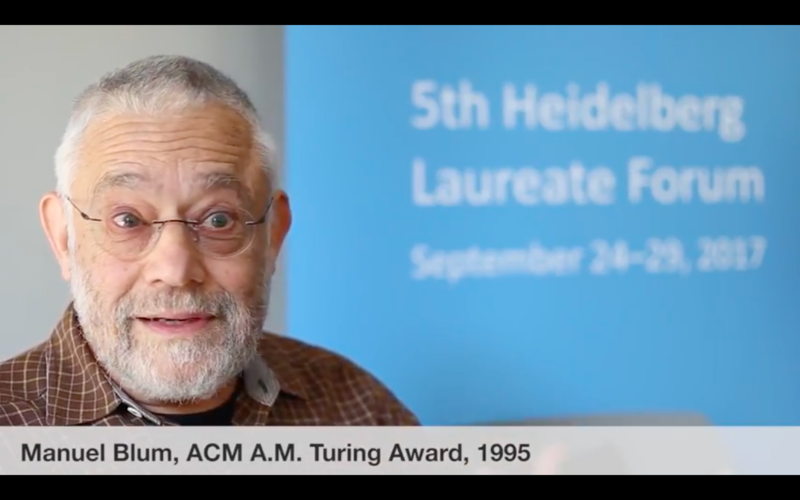 An interview with Manuel Blum at the 5th Heidelberg Laureate Forum, September 2017. 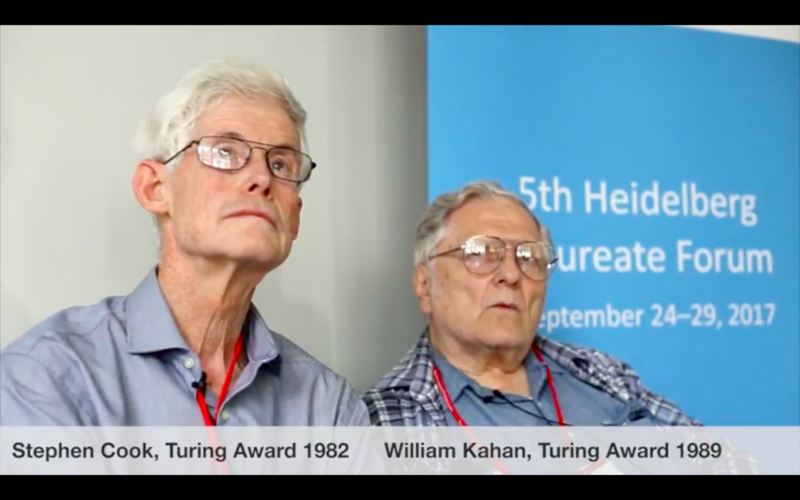 An interview with Stephen Cook, joined mid-interview by William Kahan at the 5th Heidelberg Laureate Forum, September 2017. 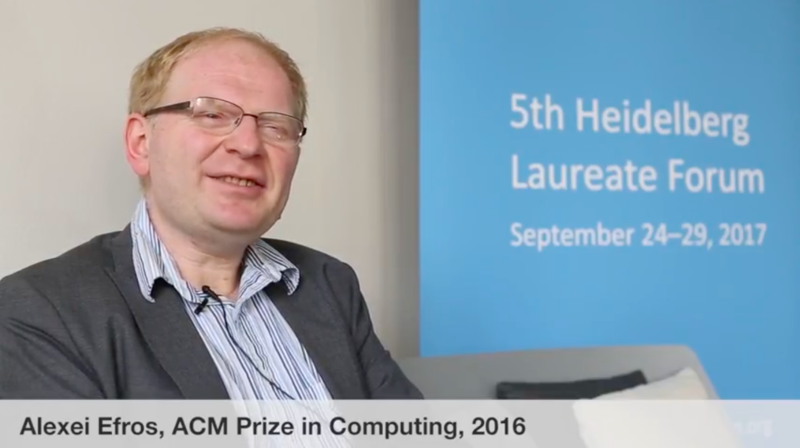 An interview with Alexei Efros at the 5th Heidelberg Laureate Forum, September 2017. 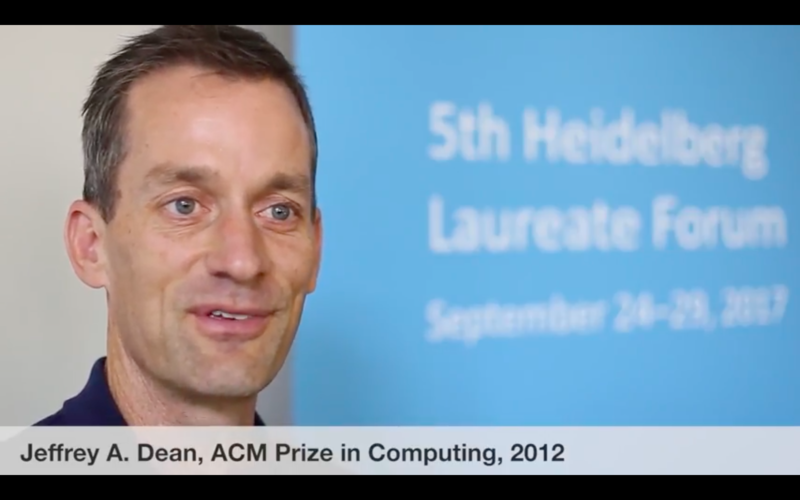 An interview with Jeff Dean at the 5th Heidelberg Laureate Forum, September 2017. “Bitcoin is a form of money that only exists online. While it’s making headlines around the world, many people don’t really understand how bitcoin works or the underlying concepts of cryptocurrency. 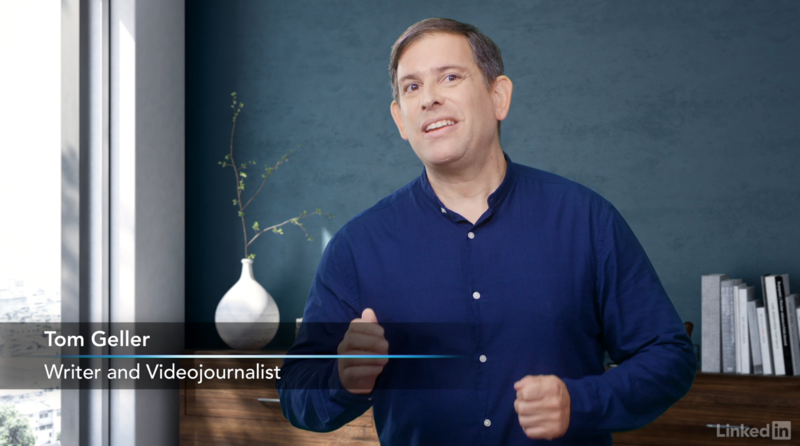 In this course, Tom Geller demystifies bitcoin, revealing the promise and perils of the new crypto economy. Tom begins by explaining what bitcoin is, how it originated, and how it compares with other cryptocurrencies. Next, he explains how to get started by creating a bitcoin wallet, buying and selling bitcoin, and protecting your transactions. 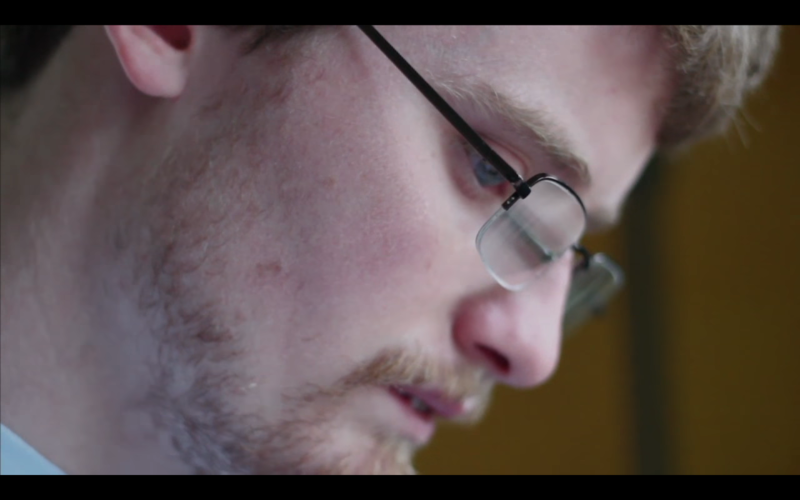 I did additional cinematography for this documentary about an autism self-advocate, and helped outfit him with a GoPro rig to capture video from his point of view. My shots (at the subject’s home in Oberlin, Ohio) open both the film and the trailer. Broadcast premiere on PBS’ “America ReFramed” series. Travel is expensive, so you need to be sure your time “on the road” justifies the investment. 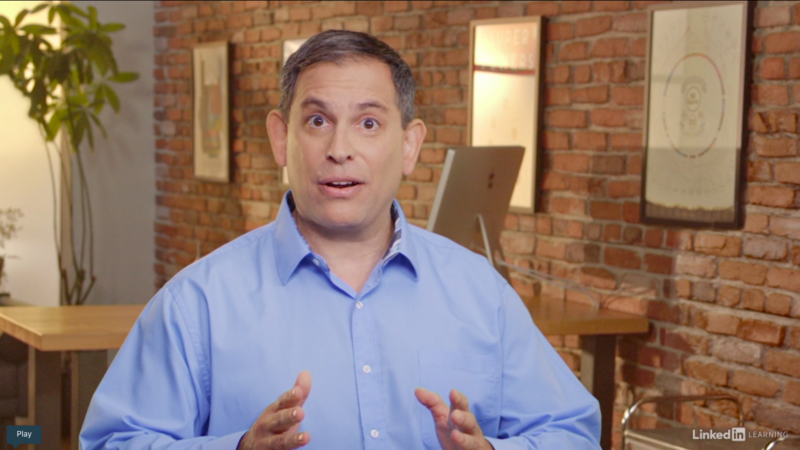 In this course, Tom Geller outlines what you need to do before, during, and after your business trip to keep yourself comfortable, meet your client’s or employer’s objectives, and take care of your home while you’re away. Learn the tools you need to stay in touch with the office, and find out how to pack a “go bag” that prepares you for business. Tom also provides guidance on managing transportation and staying safe in your new city, and outlines tips for reporting back what you’ve learned when you return home, so each trip is easier and more productive than the last. Learn how to write formal business letters and emails that are short, clear, and to the point. This course teaches you how to get results and build better relationships with clients, colleagues, and customers. Writer and journalist Tom Geller helps you clarify your goals, research your topic and intended audience, and structure your correspondence. Plus, get tips about writing for accessibility—making your writing comprehensible, concise, and appropriate for all readers—and following up on communication. With little guidance, created a distinctive rhythm and visual style for the professional organization’s flagship publication (“Communications of the ACM”), then produced nearly three years of monthly episodes. Elements included format, titling, and narrative styles that remain features of the ongoing series. Camerawork and interviewing for this piece was my first gig for Zoomin.tv. I grabbed my equipment after hearing the protests from my apartment, which is around the corner from the Consulate. 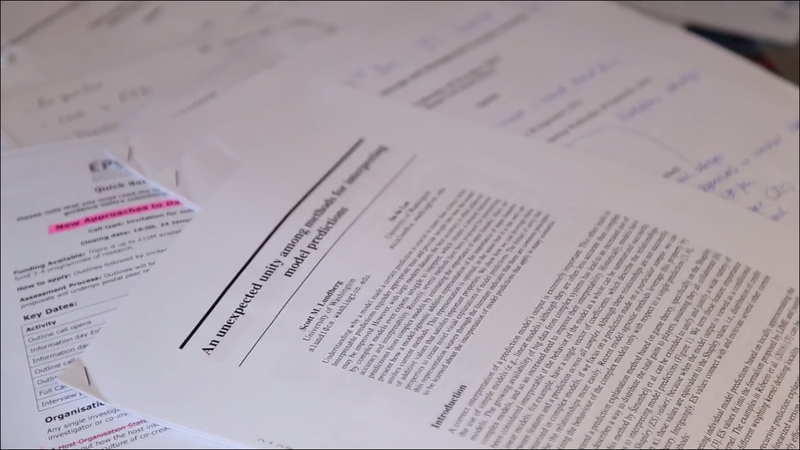 Two professors at the University of Bristol discuss how to apply artificial intelligence to improve the peer-review process for journals and conferences. 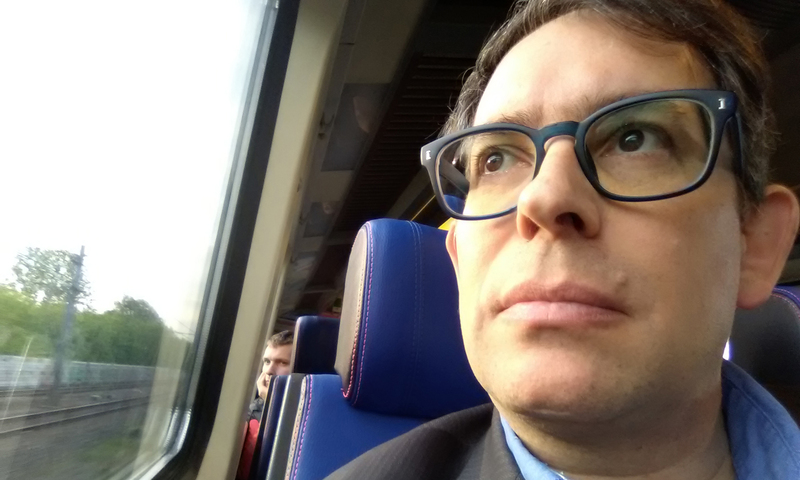 An interview with Frits Vaandrager of Radboud University (The Netherlands), on a system that probes unknown systems to figure out their inner logic. 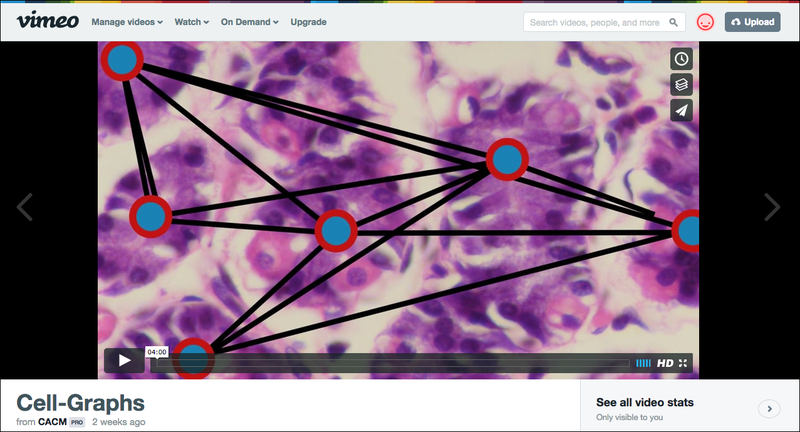 A talk with RPI Professor Bülent Yener about a method that lets graph theory help identify diseased tissue. 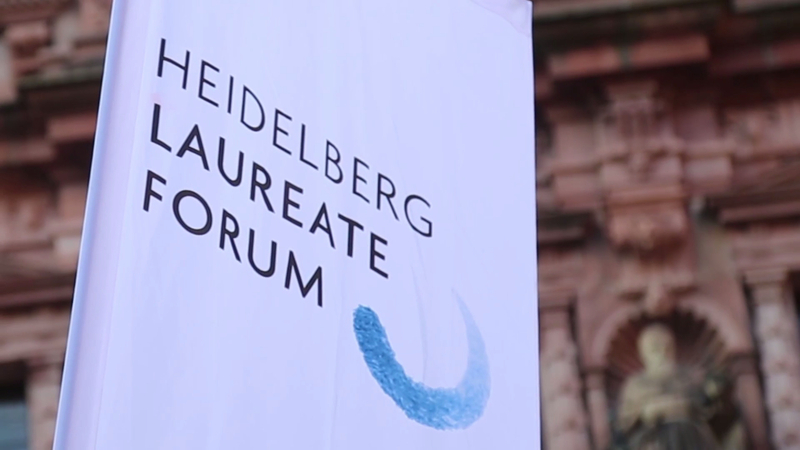 A promotional video about the Heidelberg Laureate Forum, a week-long meeting of 200 advanced young researchers in math and computer science, together with about two dozen “laureates” who have won the world’s top prizes in those topics (Turing Award, Abel Prize, Fields Medal, and Nevanlinna Prize). 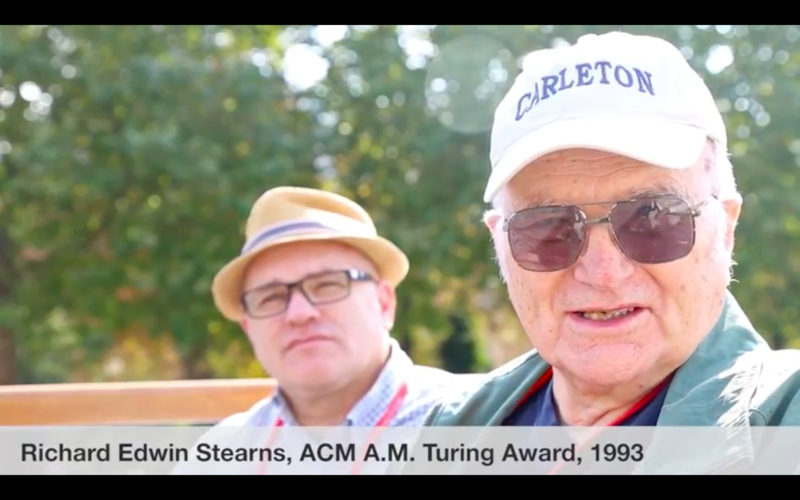 Commissioned by the Association for Computing Machinery, which sponsors the Turing Award. 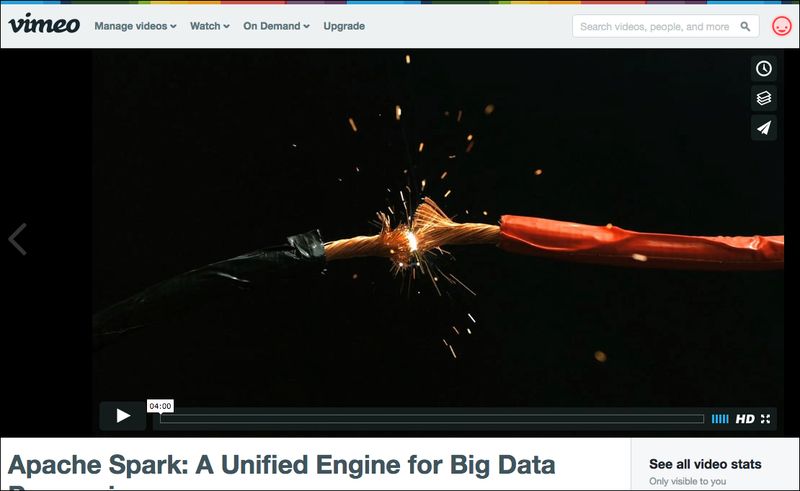 Matei Zaharia talks about his creation Apache Spark, a modular platform for performing calculations on big data. 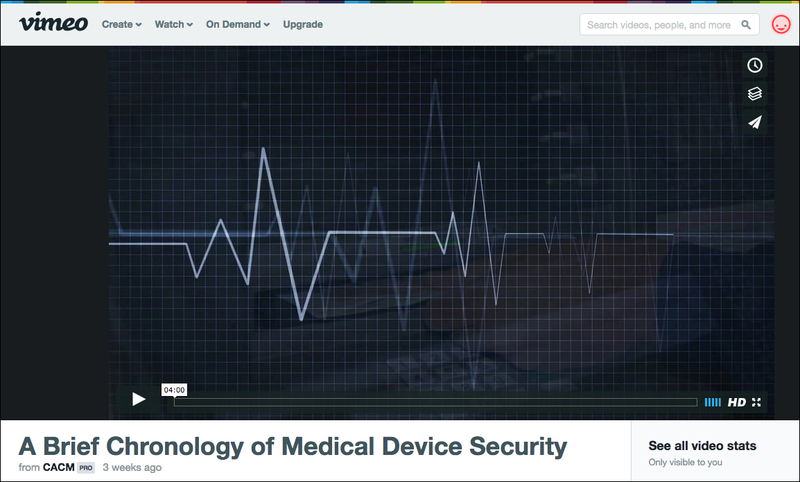 Vanderbilt University Dean M. Eric Johnson reviews how medical device security issues, including those in their software, have threatened health in the past, and summarizes the current state of affairs. 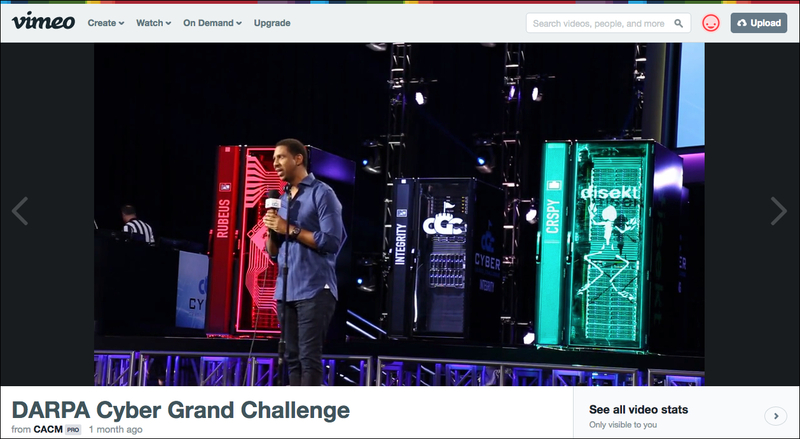 On-site report from Las Vegas of the “DARPA Cyber Grand Challenge”, a multi-million dollar, U.S. government-sponsored competition where computers try to hack each other. Covered the action and conducted interviews over three days. Here’s the article I wrote about this event. 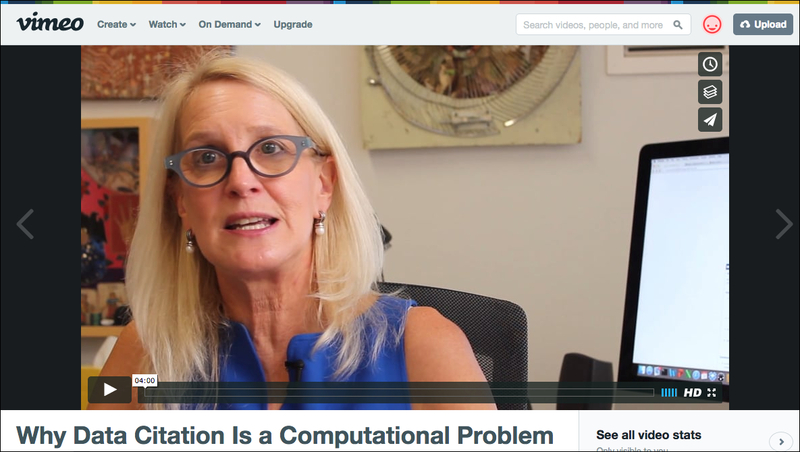 An interview with University of Pennsylvania Professor Susan Davidson about the need to change how source information is cited in (for example) academic papers. She and her co-authors propose a framework that allows a greater diversity of sources and more flexibility in citing them. 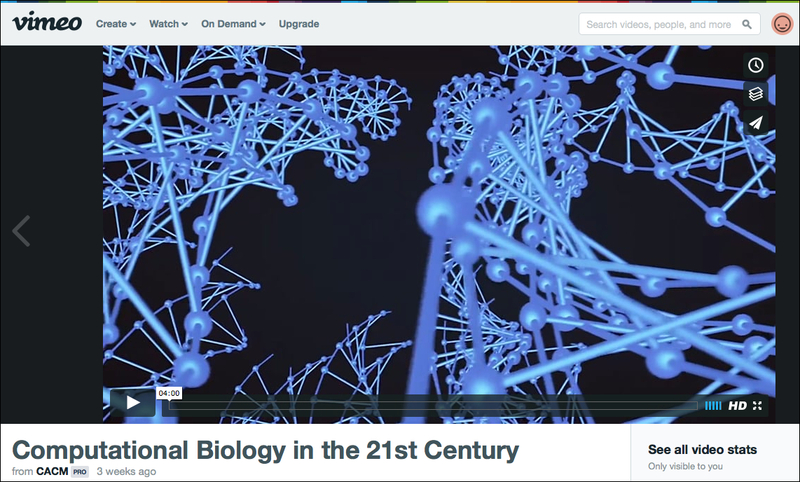 An interview with ACM Fellow and MIT Professor Bonnie Berger about how to improve computer handling of biological data, specifically relating to genomes.